Top of the Lunch Hour to Ya! - Word on the street with Visit Minot!Word on the street with Visit Minot! It’s been way too long but today was the day for me to be reunited with the one an only Fat Frog from Ebeneezer’s Eatery & Irish Pub. What is a “Fat Frog” you may ask yourself? It is a big slice of heaven between two hoagie buns is what it is! 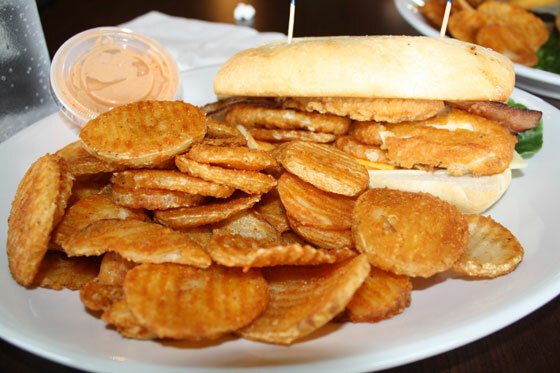 It is the perfect combination of crispy chicken strips, bacon, mozzarella sticks and Irish fries. Nope folks that’s not their appetizer menu that is what is included on the sandwich. Topped off with Ebeneezer’s dipping sauce it is simply amazing! 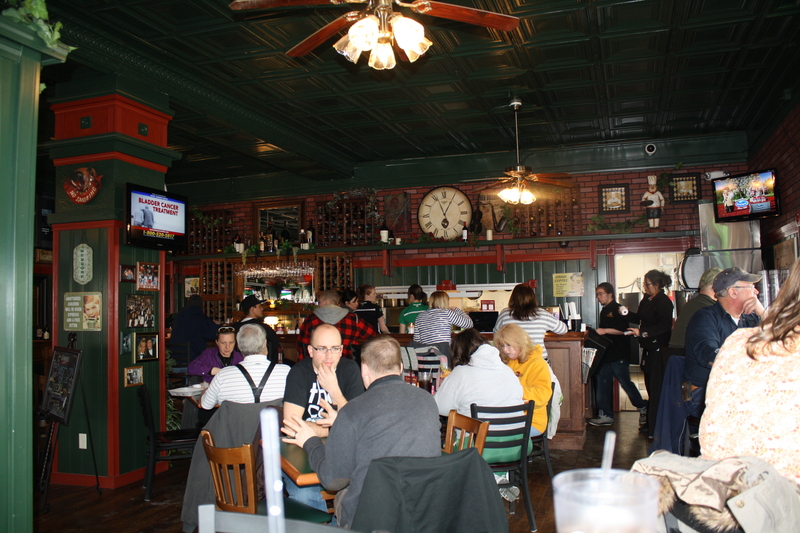 Ebeneezer’s Eatery & Irish Pub is located 300 E Central Ave across from Val’s Cyclery. It is a great location for breakfast, lunch, supper, or an evening to sit back relax and listen to a great band. You can check them out at their Facebook page. Stop on in an say hello to the crew at Ebeneezer’s Eatery & Irish they have been working extremely hard to bring back some more great food & favorites to Downtown Minot! We are happy to have you back Ebs!